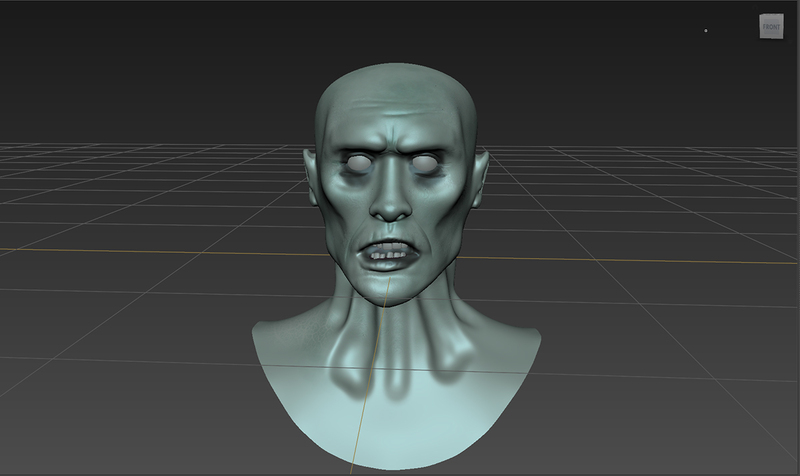 I just wanted to share a quick update with you on the progress of my first sculpt in Mudbox. I’m working on it in between a bunch of other stuff otherwise I’m sure it’d be closer to being finished by now! I added some rickety teeth and made the mouth a bit asymmetrical, now I’m onto colouring. I added some colour and high frequency skin detail – both of which make a real difference to the appeal of the sculpt.